THE MATRIC RESULTS ARE OUT - WHAT NOW? 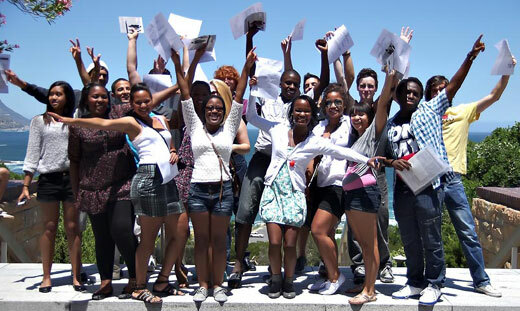 Congratulations to the Matric Class of 2014 for achieving an impressive overall 75.8% pass rate! To those who didn’t pass or didn’t receive the results they had hoped for, do not despair – you have many options available to help you to improve your marks. We’ve put together some answers to questions you may have on some of the options you have available to you, but remember to keep in touch with your principal/teacher or local Department counsellor for advice. If you are feeling a little anxious or overwhelmed with your results and you need someone to chat to, contact the South African Depression and Anxiety Group (SADAG) hotline on 0800 363 33 77 to get extra advice and counselling not only to help you feel better, but also to advise on the options you have available to you. 1. How do I apply for re-marking or re-checking of my exam scripts? If you think your script wasn’t marked correctly or you need those few extra marks to qualify for a bursary, you could apply to get your scripts re-marked. Candidates who fail one or more subjects in the National Senior Certificate/ABET Level 4 Examinations may have their script(s) in those subject(s) re-marked. If you have passed your examination but who wish to obtain an improved mark in one or more subjects for a particular purpose, you may, with the approval of the Department, have his or her script(s) in such subject(s) re-marked. In such a case, a letter of motivation requesting the re-mark must accompany the application. The Department will only agree to the re-marking of scripts in a subject in which you have failed to obtain 40% only for the purpose of obtaining matriculation endorsement (diploma or bachelor pass) or when a bursary is at stake. A fee of R18 per subject for rechecking and R80 per subject for remarking must be made when applying for remarking. Application forms are available from the school or centre where you sat for your exams. Deadline: 26 January 2015. 2. Do I qualify to write supplementary examinations? if you provide evidence that you need a better result to qualify to study at university or college, or to meet requirements for a specialist field of study or work. Deadline for applications for supplementary exams: 26 January 2015. Candidates who qualify for a supplementary examination can register at the centres where they sat for the examination immediately after receiving their results. 3. What can I do if I do not qualify to write the supplementary examination? FET Colleges also offer courses (the NATED or ‘N’ Courses) which when, combined with practical work, lead to a qualification as an artisan in a wide variety of fields. Click here for more information on FET Colleges. The National Student Financial Aid Scheme (NSFAS) is a government student loan and bursary scheme which provides loans and bursaries to students at all 25 public universities and 50 public TVET colleges throughout the country. Although some applications for some institutions have closed already (click here for the list), there are institutions which have different closing dates for application for NSFAS assistance. If you are still looking for financial assistance, check out how Eduloan can help you.